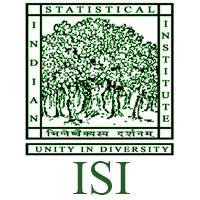 Indian Statistical Institute organizes the ISI Entrance Exam every year in the month of May. The campuses are located in four places i.e, Chennai, Tezpur, Delhi and Banglore. ISI Admission Test is a state level entrance exam conducted across various centers in all over India. Through this ISI Admission Test, the institute offers the admissions into various degree programs such as UG, PG, JRF/SRF in the field of statistics, Science & Technology in different participating colleges of Indian Statistical Institute. The Indian Statistical Institute is yet to release the ISI 2018 Notification through online. It is the gateway for the candidates who want to do undergraduate or postgraduate courses in the fields of statistics, mathematics, etc. in the private or government colleges. First of all, the interested candidates need to check the eligibility criteria such as educational qualification, age limit, etc. through the below sections. Then, the candidates who have met the eligibility can apply for ISI Admission Test 2018 through online before the deadline to avoid the server issues. The details of Indian Statistical Institute Admission Entrance Exam 2018 such as exam dates, courses, admit card, result, counselling, etc. are as provided in the following sections of this page. Candidates have to fulfill the eligibility conditions such as qualification, age limit, etc. to appear for Indian Statistical Institute 2018 Exam. For 3 Years B.Stat (Hons)/B.Math (Hons): Candidates who have completed higher secondary (10+2) or equivalent with Mathematics and English as subjects. For 2 Years M.Stat/M.Math: Aspirants should have passed 3 years Bachelor’s degree or B.E/B.Tech degree with statistics as a subject (or) B.Math degree (or) PG Diploma in Statistical Methods from ISI. 2 years M.Math: Contenders should hold the 3-Year Bachelor’s degree (or) B.E/B.Tech degree with Mathematics as a subject (or) B.Stat degree from Indian Statistical Institute. For 2 Year Master of Science (MS) in Quantitative Economics: Applicants must have completed 3 years Bachelor’s degree in Economics/Mathematics/Statistics/ Physics (or) B.Stat degree from Indian Statistical Institute (or) B.E/B.Tech in any discipline or any equivalent exam. For 2 year Master of Science (MS) in Quality Management Science: Candidates should have completed 3-year Bachelor’s degree with Mathematics as a subject. (or) B.E/B.Tech degree in any discipline. 2 Year Master of Science (MS) in Library and Information Science: Candidates should have completed 3 years Bachelor’s degree in any discipline. For 2 year M.Tech in Computer Science: Aspirants should have passed Master’s degree in Mathematics/Statistics/Physics/Electronic Science/Computer Science/Computer Applications/IT. (or) B.E/B.Tech degree in any discipline. For M.Tech in Quality, Reliability & Operations Research: Candidates with Master’s degree in Statistics (or) mathematics with statistics as subjects (or) B.E/B.Tech in any discipline (or) Physics & Chemistry at 10+2 level. 1 year PG Diploma in Statistical Methods & Analytics: Aspirants should have Bachelor’s degree in any discipline with Mathematics as a subject (or) B.E/B.Tech degree or any equivalent exam. For 1 year PG Diploma in Computer Applicants: Completed 3 years Bachelor’s degree with Mathematics as a subject. (or) B. Stat./B. Math. from ISI with Statistics (or)BA/B. Sc. BE/B. Tech. or equivalent degree with Statistics as a subject. Mathematics: passed M. Stat./M. Math. degree from ISI (or) MA/M. Sc. or equivalent degree in Mathematics (or) ME/M. Tech. degree or equivalent with Mathematics as a subject (or) B. Stat./B. Math. degree from Indian Statistical Institute with Mathematics, (or) BA/B. Sc., BE/B. Tech. or equivalent degree with Mathematics as a subject. Quantitative Economics: completed MS(QE)/ M. Stat. degree from ISI, (or) MA/M. Sc. or equivalent degree in Statistics/Mathematics/ Economics/Econometrics (or) BA/B. Sc. degree with Economics as a subject with outstanding mathematical maturity, (or) BE/B Tech degree with Economics and Mathematics/Statistics as subjects. Computer Science:passed ME/M.Tech or equivalent degree in Electronics/Telecommunication /Radio Physics/ Computer Science / Electrical Engineering/Microwave Communications / Information Technology/ Bioinformatics/ Biotechnology with Mathematics as a subject, (or) M.Stat./M. Sc./MCA/ MA or equivalent degree in Physics/Mathematics/Applied Mathematics /Statistics/Electronic Sciences/Computer Science/ Atmospheric Science/ Information Technology/Bioinformatics/ Biotechnology with Mathematics as a subject at the graduate level, (or) BE/B Tech or equivalent degree in the above subjects. Quality, Reliability & Operations Research: M. Tech./ME/MS/M. Phil. or equivalent degree in Quality/Reliability/Operations Research, (or) M. Stat./M. Sc./MA or equivalent degree in Mathematics/ Statistics/Physics with Mathematics as a subject at the graduate level, (or) BE/B. Tech or equivalent degree in the above subjects. Physics: Candidates should have a good academic record with M. Sc. in Physics/ Mathematics/ Statistics. Agricultural Chemistry and Soil Science: A good academic record with M.Sc. (Agriculture) in Agricultural Chemistry with Soil Science. Geology: A good academic record with M. Sc. in Geology or equivalent. Library and Information Science: At least high second class in MS (LIS) awarded by ISI or Associateship in Documentation and Information Science (awarded by ISI or NISCAIR/INSDOC) or its equivalent degree (such as Master’s degree in LIS from any Indian/Foreign University) with at least 55% marks in undergraduate (BA/B. Sc./B. Com. or its equivalent and also in BLISc. if applicable) programme. Linguistics: Candidates with M.A degree in Linguistics/Applied Linguistics with minimum 55% marks are eligible to apply for the exam. Sociology: Aspirants should have MA/M. Sc. or equivalent Master’s degree in Social Anthropology /Sociology. Psychology: Candidates must have MA/M. Sc. degree in Psychology or Applied Psychology. The ISI Board releases Application Form in February 2018. The Online Application will be active upto the 2nd week of March 2018. So, candidates who are willing to apply for the exam have to fill & submit the form through online as soon as possible before the closing date. For PG Diploma & Analytical courses, the candidates have to purchase the Application form from ISI North-East Center through post or in person. After the filling of the Application form, send the documents to the following address. The application fee payment gateways are credit/debit card/net banking or challan of any branch of SBI Bank. The registration fee is as follows. Note: The application form correction facility is not provided for the applicants. Candidates have to take the utmost care while filling the application form. The ISI Admission Test 2018 may be conducted in various centres all over India. While filling the application form, candidates can choose the nearest exam centres for the convenience to appear for the ISI Exam 2018. ISI Syllabus is different for different courses. The questions will be asked from Analytical Reasoning and other related subjects & fields with topics of the undergraduate or 10+2 level. The ISI 2018 Exam Pattern consists of two papers, i.e., Paper-I & Paper-II. Paper-I comprises of the objective type questions. Paper-II includes the short answer type questions. Indian Statistical Institution Admission Entrance Test 2018 Pattern is different for different courses. The exam consists of Paper-I & Paper-II. For detailed exam pattern, candidates can refer the official website. Applicants who have successfully applied for the exam have to download the ISI previous papers & start your preparation as soon as possible. Make a proper plan as per the syllabus & pattern. Don’t waste time and stick to your schedule for exam preparation. Attempt well in the exam to score good marks/rank. The ISI Board officials release ISI 2018 Admit Card in April/ May 2018. Candidates have to download the hall ticket through online. Without admit card, candidates are not allowed for the exam. So, candidates who are wishing to appear for the exam have to preserve the hall ticket. Indian Statistical Institute, Kolkatta has released the ISI 2018 Answer Key through online. Interested candidates who are eagerly waiting to check your score can utilize the exam key to get your performance in the exam. Don’t assume it as the final result. The Officials will announce the ISI Final Result through the Official site on specified dates. The ISI Cut off 2018 is released along with the result by the authorities. Cut Off Marks is the minimum score candidates have to achieve in order to qualify the exam which is decided by the officials. The cut off is decided by the officials based on the several factors such as availability of the seats, no. of candidates appeared, etc. In order to qualify in the exam, candidates have to secure at least cut off or more than cut off marks decided by the officials. The ISI 2018 Result is declared in the month of June 2018. Candidates can check the result by entering the login details through online. After downloading the result, keep it safely until you get the admissions in the colleges. Candidates have to download ISI 2018 Score Card by entering the login details. Check all the details printed on the rank card before downloading it through online. In case, you have found any mistakes, contact the officials to clear the errors on the rank card. After downloading the rank card, preserve it safely until you get the admissions in the desired colleges. The rank card is the mandatory document which helps you in taking the admissions offered by ISI. So, all the candidates have to compulsory download it. After downloading the rank card, preserve it safely until you get the admissions in the desired colleges. Candidates who have secured good marks in the exam are invited for the interview rounds. The ISI Admissions 2018 are provided for the aspirants based on the marks obtained for the applicants in the entrance exam. The final selection of the candidates is based on the performance in the written test & interview. The academic records are also taken into consideration. The Research Fellowships are provided in the following centers in the respective courses/subjects as tabulated below. All the students and research fellows admitted to various programs except Post Graduate Diploma in computer Applications receive stipends, fellowships, contingency grants as given below. Note: The stipend granted to the students may be reduced or completely withdrawn if academic progress, attendance, character or behavior and conduct of the student are not found satisfactory. Therefore, the information shared on this page is for the guidance purpose of the candidates. Candidates can also refer to the official website in case of any doubts or further details of ISI Exam 2018. We have also gathered here the contact details of the officials for your convenience. Therefore, we have provided complete details of ISI Admission Test 2018 details up to our knowledge through this article. So, candidates can get the full information such as courses offered, eligibility, qualification, counselling details, etc. For more information, we advise the candidates to stay connected to this page. Here we have provided the important links your convenience to get detailed information of ISI Exam 2018. As most of the candidates may not know how to check all the details through the official site. So, interested candidates can go through these links to know further details of India Statistical Institute Admission Test 2018.